Fourways is the fastest-developing commercial and residential hub in northern Sandton, north of Johannesburg. 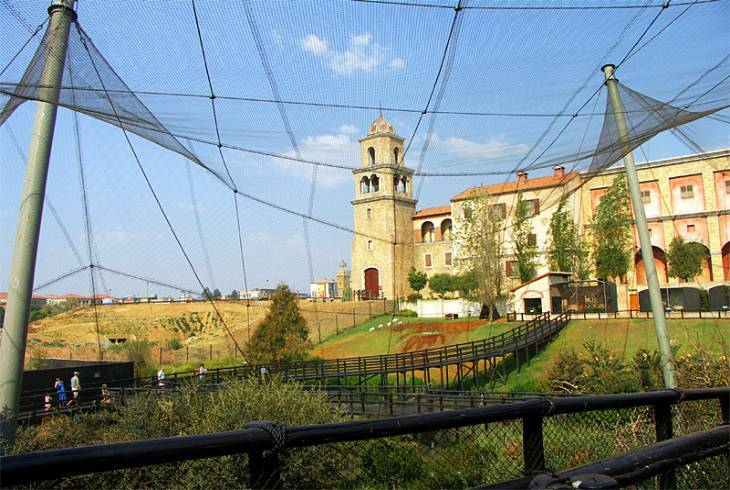 The Montecasino Leisure Complex, along with its cinemas, restaurants and Bird Garden is by far the largest tourist attraction in Fourways. But this upmarket suburb is also well-known for its excellent shopping malls, which include the Fourways Mall and Fourways Crossing. Between the two large Fourways shopping centres just about every need you can think of is covered, from banks to restaurants, from boutiques to street salesmen. Business travelers will also find Fourways to be conveniently located near the N1 Highway, halfway between the business centres of Sandton and office parks of Midrand. There is ample accommodation on offer: Bed and Breakfast Accommodation in Fourways, Self Catering Accommodation in Fourways and Hotel Accommodation in Fourways. If you are looking for a great spot to stop for lunch or a romantic place to go for dinner, there are many Restaurants in Fourways to choose from! There are two urban legends, one that the Lonehill Nature Reserve came to be when alarmed residents heard that an American had bought the topmost rock of the Lonehill Koppie. In a panic they had the surrounding area declared a nature reserve, and the American could no longer remove it. The second was that Afrikaners believed that the English would be driven out of South Africa if the top rock could be dislodged. The reserve is open from September through April on Saturdays and Sundays and is an idyllic place to laze away or exert oneself - both koppies may be climbed, and original rock art can be observed. Fourways overview. Fourways Accommodation and Information.